This delicate and detailed engraving was issued as an illustration to a scientific botanical text entitled, Estampes pour server l’Histoire des plantes, published in Paris between 1719 and 1786. The work was a collaboration between the French physician and botanist Denis Dodart (1634-1707), the artist Nicholas Robert (1614-1685) considered the finest natural history artist working during the 17th century, and the Académie Royale des Sciences whose members had conceived in 1667, the idea of publishing a complete history of plants, including their chemical, medical and botanical features. 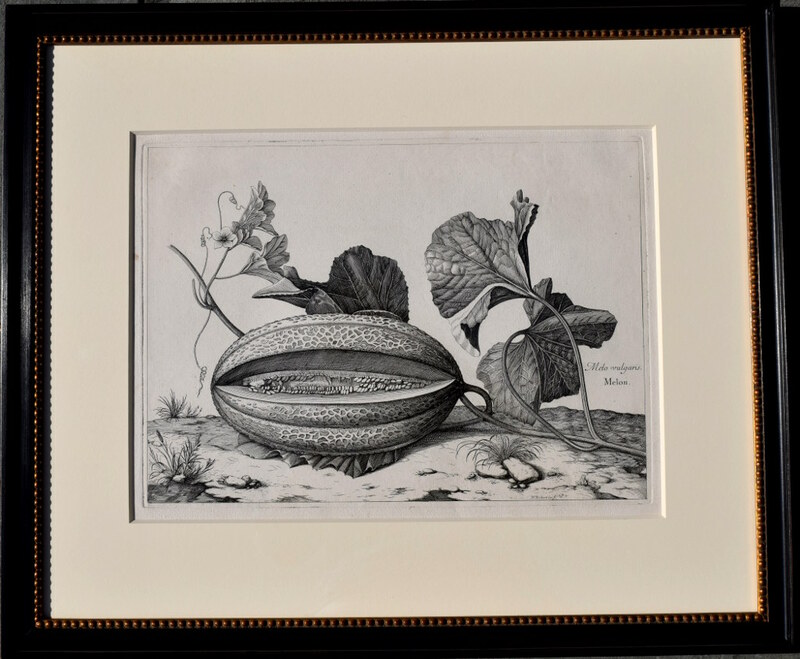 Robert was immensely talented and these botanical engravings are considered his masterworks. Robert&apos;s wonderfully innovative engraving techniques led to images of such remarkable beauty and quality that his plates rank among the best botanical engravings ever produced. The plants depicted form a valuable record of those specimens cultivated during the second half of the 17th century. The intention was, as this was a scientific endeavor, that each plant should be "made for the most part from life wherever possible, the plants portrayed life-size; if larger, but not more than twice the size of the page, they would be represented as cut in two; so that the true size of the plant could be better appreciated." The engravings were never colored, and the work was never published or offered for sale, instead it was given by the Academie as presentation gifts to royalty and dignitaries. As such these original prints are extraordinarily hard to come by. We are particularly pleased to offer for sale Robert&apos;s wonderful melon. Archival framing in English profile molding with gold leaf bead 24 1/2 x 20 1/2 inches outside frame size, 11/ 1/4 x 15 1/4 inches plate mark.